Another fun idea for vintage boating life rings! I love how this decorator mom used this found "vintage" (or not so vintage?) 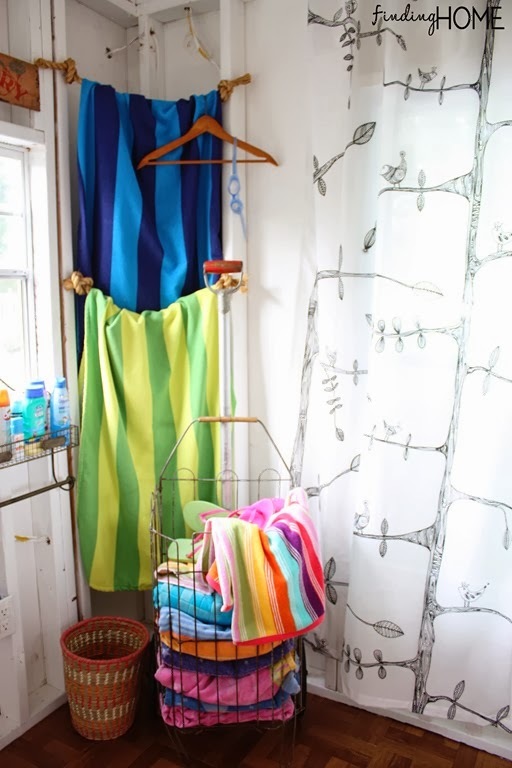 life ring as a handy way to hang and display a soft cozy blanket for her teen age girls. Just an adorable, kid-friendly space! 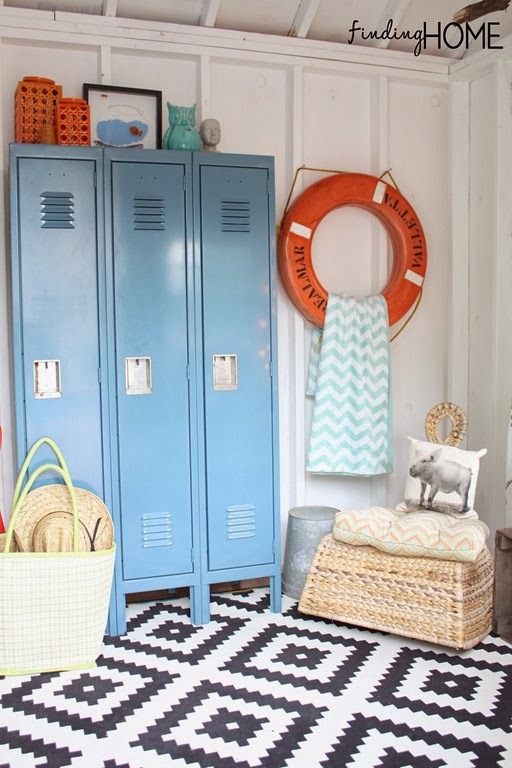 The aqua blue lockers are truly an awesome idea for kids! What a great way to store swim suits, flip flops and extra towels. Laura's complete pool house-play house diy and decorating project is a must see on her fun decorating blog "Finding Home" - Decorating our DIY Playhouse and Pool House for our Teens. Check out our previous Life Preserver Post for some more inspired ideas! Really cute boat life ring towel holder idea! Quite amazing ideas shared indeed and I appreciate for this great post!! I've beach house. Last year I bought it. To make my house more like kids friendly I think I'm gonna adapt such ideas. Thanks.